Lia Karsten, associate professor aan de Universiteit van Amsterdam, heeft onderzoek gedaan naar ‘Middle class households with children on vertical family living in Hong Kong‘. Although apartment living is widely seen as inappropriate for children, the number of families living in flats is rising, particularly in large global cities. 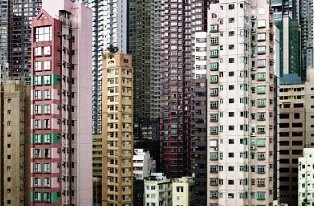 What does the (new) urban condition of vertical family living mean for households with children? This question is explored in a qualitative study among middle-class parents in Hong Kong. They were invited to reflect on the specific housing situation of the apartment, the high-rise neighbourhood and the global city. The results of this study indicate the deconstruction of the single family home as the most aspired type of housing. Apartment living is not considered to be particularly negative by the families. The high-rise neighbourhood, however, is seen as constraining neighbouring. Only a minority of the families, particularly those residing in small-scale estates with good facilities for children, socialize with neighbours. Hong Kong as a large city is valued because of career chances and its efficient transport and safety, but child friendly (green) spaces and work-life policies are deeply missed. In the context of global competition, cities should be advised to pay higher attention to family needs in urban planning. 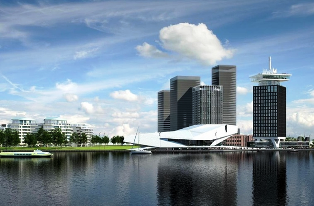 Hotel Amstelkwartier wordt het eerste LEED Platinum gecertificeerde hotel van Europa. Het duurzame viersterren-plushotel komt aan de Amstel in Amsterdam te staan, nabij het Amstelstation. Hier wordt de komende jaren een woonwerkgebied ontwikkeld. Mulderblauw architecten en Architectenbureau Paul de Ruiter werken in opdracht van Amstelside BV aan het ontwerp.